With her bold use of colour and pattern, Camille Walala's designs have been bringing a smile to our faces for quite some time now. Imagine our excitement, then, when we heard about her new exhibition at NOW Gallery in Greenwich which opened last week. 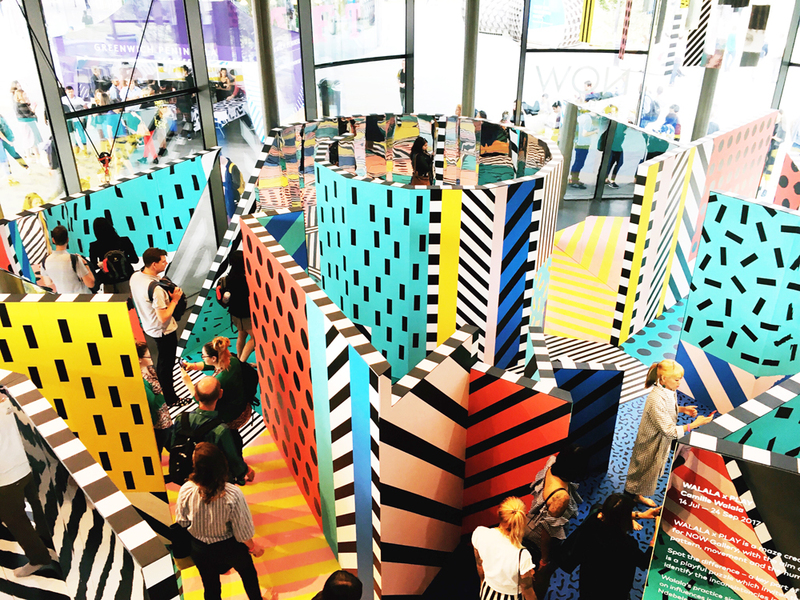 The aptly named Walala x PLAY exhibition invites visitors to take their shoes off and roam around a labyrinthine installation composed of Walala's signature palette and patterns combined with the clever placement of mirrors. The result is fantastic - allowing the viewer to explore and interact with their surroundings, challenging them to discover where one pattern ends and the next truly begins. To some, this Instagram-friendly exhibition will be an easy way to rack up some Likes; however, we had the opportunity to wander through the winding corridors with an energetic 8-year old who was notably phone-less. Yes, we did snap some photos along the way but what was really refreshing was to see how she dashed and cartwheeled her way around the spaces, observing the pattern changes and pointing out to us how looking from different angles changed the visual effect entirely. 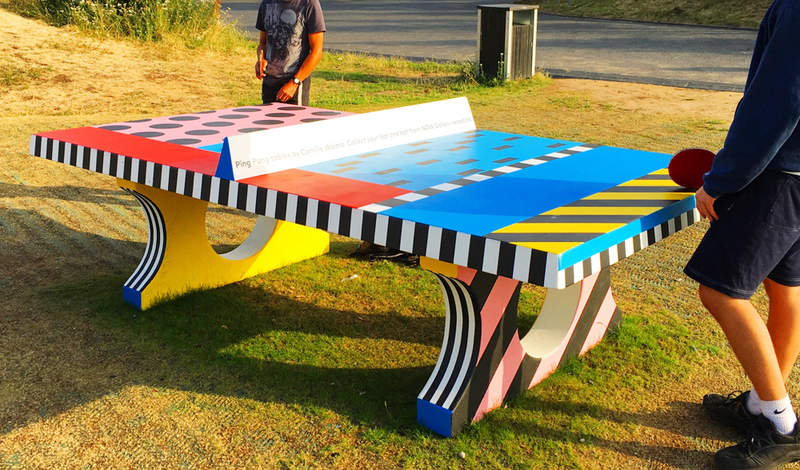 The experience underscored to us the importance of switching off and just letting yourself play - a topic that is being talked about more and more these days in relation to company culture and workspace design. In fact, recent research shows that play in the workplace can reduce stress and decrease absenteeism by creating a more positive working environment. Play can also encourage creativity by clearing out the cobwebs and giving your brain the space it needs to incubate your next great idea. As we left the exhibition feeling inspired, energised and, of course, smiling, we can't help but agree.